The Dallas Area Rapid Transit bus driver who who crashed into several cars on the Dallas North Tollway last month was fired Monday. Veolia Transportation, DART's paratransit operator, on fired the bus driver, who had a good safety record and more than 11 years of experience. "There is no evidence at this time of any violation of Veolia cellphone policies or drug or alcohol use," said Ken Westbrook, Veolia Transportation president. "Safety must always be our highest priority," Westbrook said. 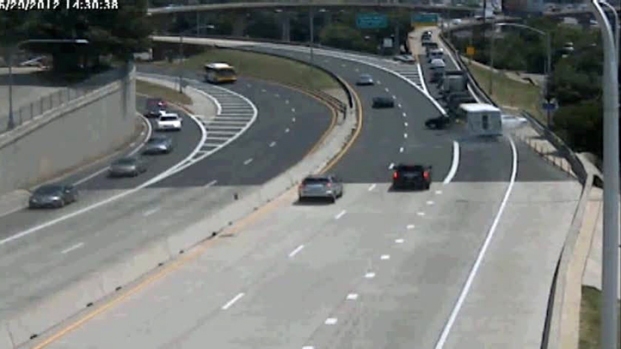 The video shows the paratransit bus smashing into four cars on the Dallas North Tollway near the Harry Hines Boulevard exit. 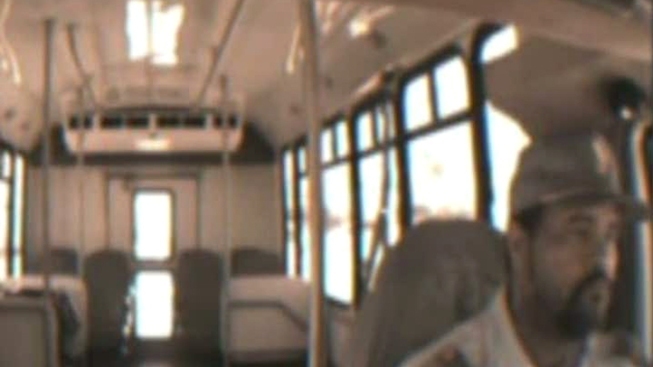 DART released video that shows the paratransit bus driver was not using a cellphone. The video shows that the driver was looking straight ahead at the time of the wreck. The bus smashed into four cars in the southbound lanes of the toll road near Harry Hines Boulevard on June 29. Two people were injured, including Jose Sepulveda, a husband and father of two. Firefighters had to cut Sepulveda from his black Nissan Altima. Sepulveda's father, Victor, said his son doesn't remember the crash. He is still in Parkland Hospital with a fractured skull, a shattered hip and 11 broken ribs. Sepulveda's father said he didn't understand why the bus driver was fired, especially after seeing the DART video. The bus driver appears to be paying attention when he plowed into the line of cars waiting to exit onto Interstate 35. But in video the North Texas Tollway Authority released last week, it’s clear the driver never even tapped the brakes before the crash. According to the accident report, the DART investigator said the driver caused the chain-reaction crash by not slowing down.